Artist, Writer, and Random Acts of Kindness Activist. Making the world a better place...one act of kindness at a time. Why Are These People Abandoning Their Art? 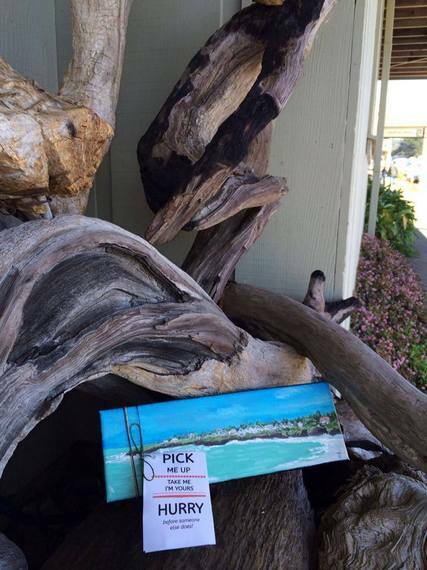 I stopped at Robbie's in Islamorada when I was in The Florida Keys this past spring. I got to talking to a local woman about art. She asked if I painted, and I began to tell her about the non-profit I created, Kindleigh, which uses 100% of our profits to fund random acts of kindness. She asked me if I'd ever heard of something called Art Abandonment. I hadn't, but she was correct in guessing that it would be right up my alley. She went on to explain that there is a movement of people across the country creating art and placing it for strangers to find. I was instantly enamored with the concept -- and knew immediately it was something I wanted to incorporate into our mission at Kindleigh. 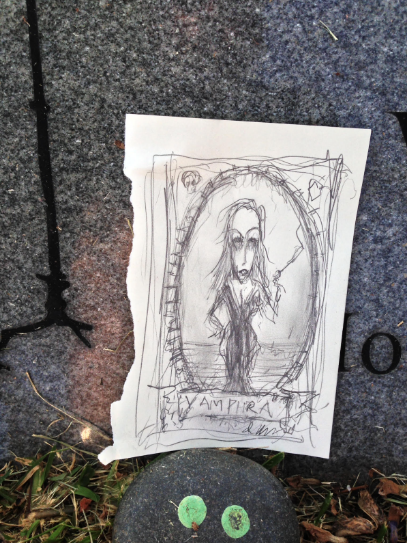 When I got home, I logged onto social media and found the Art Abandonment Group. 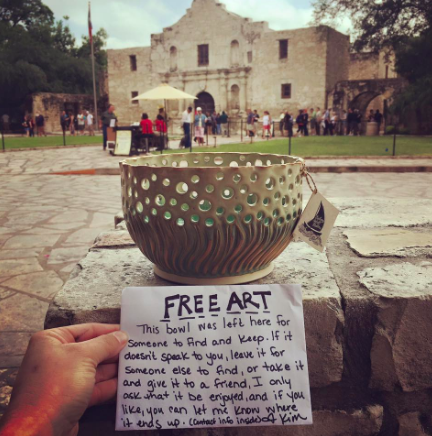 Scrolling through the various art pieces that people had lovingly crafted to pass on to strangers through an act of kindness was delightful. Not only was the art impressive, so were some of the clever places that the artists decided to "plant" them for someone to find. The group was founded by artist Michael deMeng, artist and owner of Michael deMeng Art. He says the inspiration for the group was truly quite accidental and was born of a sketch on a napkin. "A few years back was teaching an art workshop in Eugene, OR, and was sketching a little Diablo devil dude and decided I'd just leave it on the table for the next person to find... a little game for the imagination... wondering what would become of the artwork: will it be liked? Will it get tossed in the trash?" The response to the pic of his first abandonment was so overwhelming that his wife, Andrea, suggested they start a Facebook group to inspire others through art abandonment. Within a week of the group's launch, there were more than 800 members. Today, they have nearly 30,000 members worldwide. Michael said that he has continued to leave his work, and has witnessed the wonderful art others have spread. The responses have been incredibly heartwarming. "I think the most touching response we've received was early on. It was from someone who wrote that on this particular day they found themselves homeless and on the street, filled with despair. On this day however, this individual found a little handmade charm, with an Art Abandonment tag attached. On the charm was the word: hope. The finder went on to say that this was a really needed sign. I don't know whatever became of that person...but I hope that they managed to find their way out of that hard situation. Little bits of kindness can often be enormous," he said. The group is filled with both artists and finders alike. Stories and pictures of these beautiful works of art, that serve as acts of kindness, are shared throughout the groups page. With members worldwide, there are always interesting and iconic locations that the pieces are left to be found. Kim Press, from Sailing Adrift Studios, makes some truly beautiful pottery that particularly impressed me. 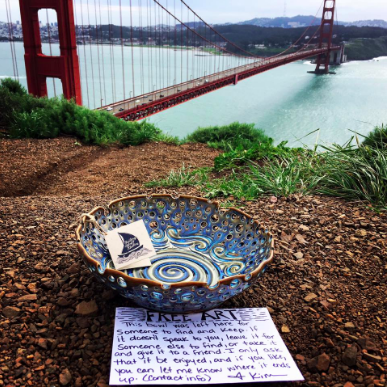 One of the first pics I saw of hers showed a beautiful ceramic bowl placed near the Golden Gate Bridge. When I got the chance to ask her a bit more about what inspired her to get involved she said, "When I first started creating pottery, I did so because I loved it. Selling pottery was always a second thought for me. I first started selling my work once friends and family members started asking if I would be willing to sell it to them. This enabled me to purchase supplies and allowing me to create more work, while doing what I loved. Then about 2 years ago, my husband lost his job, and that's when I really started to treat my work as a business. In doing so, I discovered that there are actually many things about running a business that I kind of hate. Doing these "Art Drops" was a way to get me back to just loving making pottery again. It made me happy, it made my followers happy, and it made the finders happy, so I just went with it." 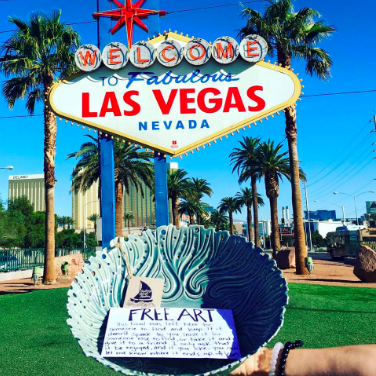 Kim has now taken her art drops on the road, saying, "In March, I drove from Austin to San Francisco and back, leaving my pottery in El Paso, Tucson, San Diego, San Francisco, Las Vegas, Santa Fe, finishing up in my home city of Austin. I am already planning my next upcoming trips which will be to the Florida Keys in July and Colorado and South Dakota in October." 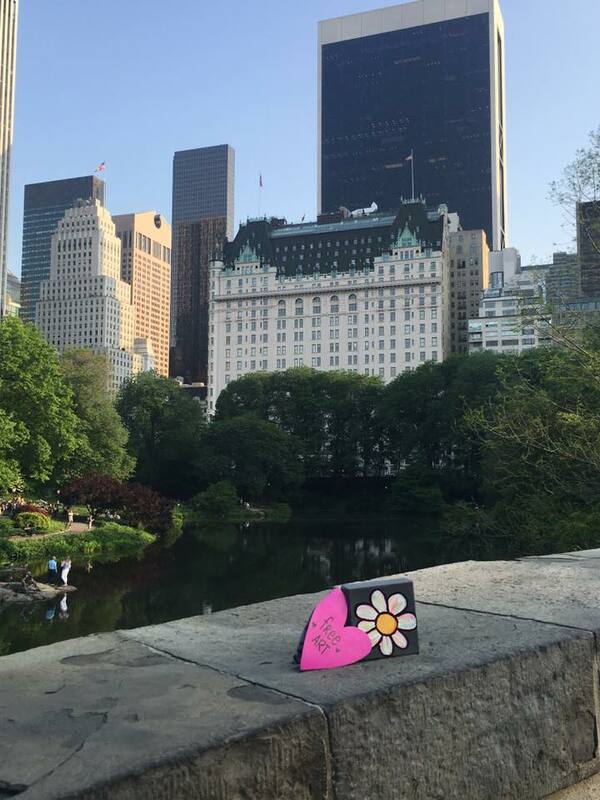 Kim continues to inspire with her acts of kindness, having recently begun a new effort called Honoring a Legacy, for which she creates pieces in memory of someone. She is choosing people at random and creating something unique for them to honor the legacy of a lost loved one. There are so many neat finds in the Art Abandonment group. I recently surveyed the members, asking which were their favorite pieces and favorite reactions. Here are some of the pieces that stood out. 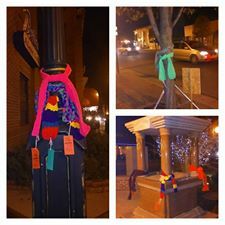 Linda Tagg and her daughter did a warmth drop and left scarves behind at a local Holly Days festival. 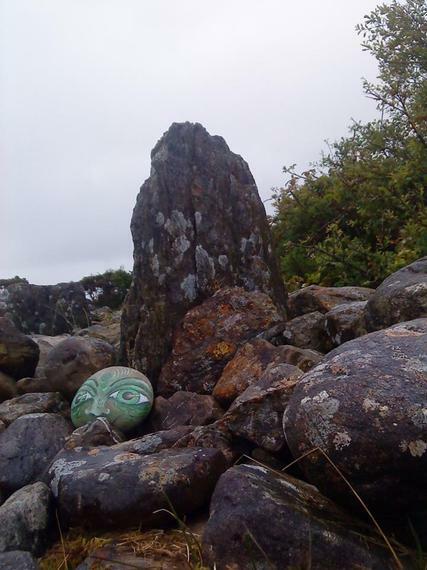 Artist Kay West, who abandoned some beautiful painted stones in Cork, Ireland. It hasn't taken long for me to get in on the fun and I have begun abandoning my own artwork as I travel the country. Here are a couple of pieces of artwork from the Kindleigh line that I left behind on recent visits to NYC. My first abandonment, a daisy left on a bridge in Central Park. 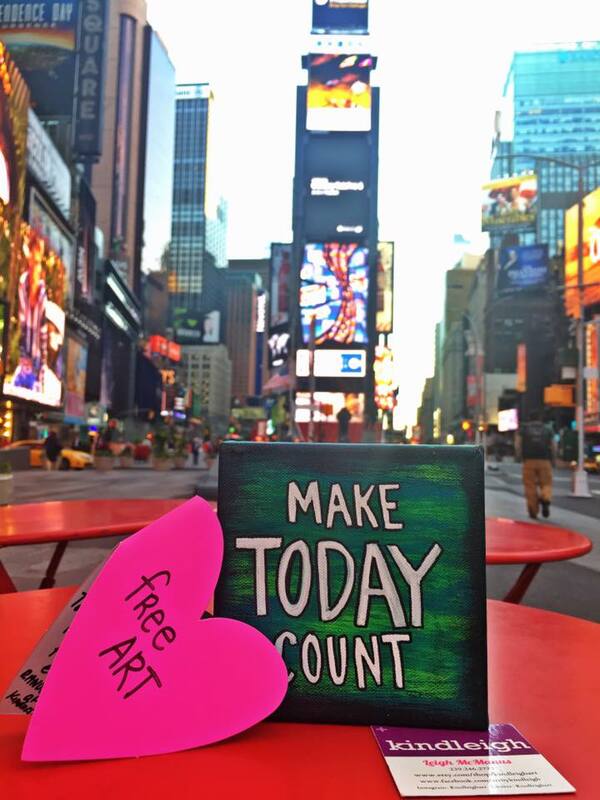 A motivational piece of art that I left behind in Times Square. Acts of love like this make the world a nicer place -- something that we all will benefit from. Join in the fun and check out more beautiful artwork in the Art Abandonment Group.